Alto saxophonist, Steve Lehman, has arrived. The New York Times described his 2009 release Travail, Transformation and Flow (Pi 30) as “a breathtaking accomplishment” and its “#1 Jazz/Pop CD of 2009”. That album solidified Lehman’s status as a visionary composer with powerful new ideas about the future of jazz. But on his new trio CD, Dialect Fluorescent, Lehman defies his reputation as a future-fixated modernist and combines his own original compositions with a full program of older works by jazz legends like John Coltrane and Jackie McLean. The album is not about paying homage to the jazz tradition in a respectful or dutiful way; every piece on Dialect Fluorescent is treated as an opportunity to create a bold and compelling musical statement, performed without one shred of irony or nostalgia. While Lehman has been celebrated by critics and musicians alike for his ultramodern musical vision — saxophonists Miguel Zenon and Rudresh Mahanthappa regularly refer to him in interviews as their “favorite young saxophonist” — it is also his unflinching and unapologetic connection to jazz tradition that has set him apart from his peers. Lehman studied with jazz legend Jackie McLean from 1997-2001 and remains a devoted and outspoken advocate for McLean’s music. In fact, while earning his Master’s degree at Wesleyan University, Lehman was often criticized by fellow graduate students for being overly influenced by an earlier jazz tradition — some of them even referred to him jokingly as “Mr. Bebop.” Now a doctoral candidate in Music Composition at Columbia University, Lehman has clearly established his own personal musical voice. Intensive studies with ground-breaking composers like Tristan Murail, George Lewis, Alvin Lucier and Anthony Braxton have had a powerful impact on Lehman’s musical vision, but he still considers McLean to be his primary mentor. It should therefore come as no surprise that Lehman has made it a priority to create an artistic aesthetic in which modernity and tradition complement and reinforce one another. What makes Dialect Fluorescent so striking is how Lehman burnishes both original compositions and standard repertoire with a modernistic sheen. Hearing Lehman’s cutting-edge pieces like “Allocentric” and “Foster Brothers” alongside “Moment’s Notice” and “Mr. E” not only shows Lehman’s connection to the past but, more importantly, it highlights the legacy of John Coltrane and Jackie McLean as boundary-breaking conceptualists. The music on Dialect Fluorescent is electrified by Lehman’s trio, which has been performing all over the United States and Europe since 2007. Throughout the album, Damion Reid displays an intricately dynamic conception of the modern drum set, rooted in his apprenticeship under Billy Higgins and his early experiences with Terence Blanchard and Robert Hurst, among others. Matt Brewer may be the only young bassist who can fly around his instrument like a horn player and still produce an incredibly big and propulsive sound. Whether performing the Duke Pearson classic “Jeannine” or Lehman’s labyrinthine “Alloy,” Brewer and Reid create a striking, contemporary sound that transforms all of the material on the album, making it feel totally connected. Lehman’s own performance on alto saxophone bristles with a distinctive combination of explosiveness and precision that has been his trademark since he burst onto New York’s creative music scene in 2004. His is one of those instrumental voices that you can identify in two or three notes: the bracing, McLean-tinged saxophone sound; the seamless integration of micro-tonal pitch content into his phrasing; the rock-steady connection to the underlying pulse of the music and the ability to function like a member of the rhythm section. 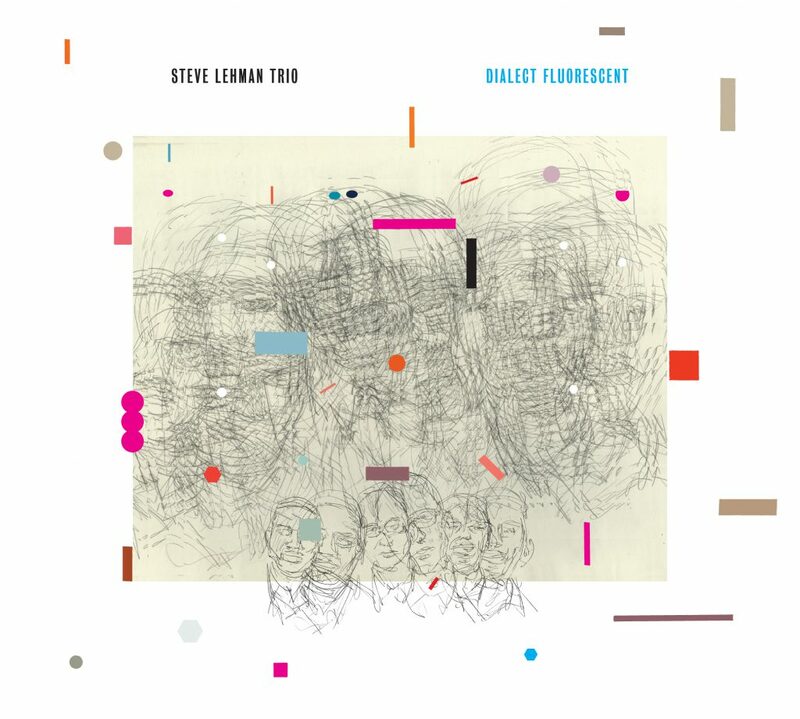 Lehman’s last recording as a leader Travail, Transformation and Flow centered around his work as a ground-breaking composer and his pioneering use of spectral harmony in jazz. And while Dialect Fluorescent continues to feature many of his state-of-the-art compositions with a particular emphasis on grooving, quick-shifting tempos the CD’s most powerful argument is for Lehman’s status as one of the most important saxophone voices of his generation. With Dialect Fluorescent, Steve Lehman, together with Matt Brewer and Damion Reid, creates a powerful new musical dialect, one that is explicitly future-minded, but still deeply-rooted in the standard language and legacy of jazz.